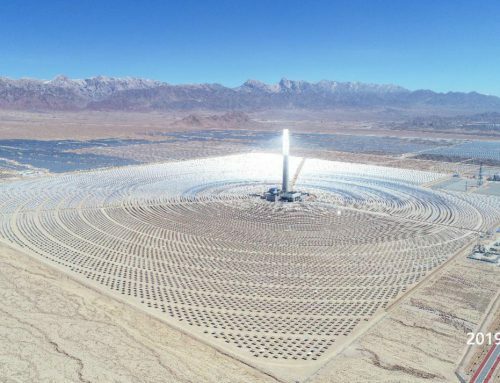 Yumen Xinneng 50MW molten salt tower CSP plant was officially selected as one of China 1st batch of CSP pilot projects in September 2016, and it has been developed and constructed rapidly since the the break-ground on June 8th, 2017. 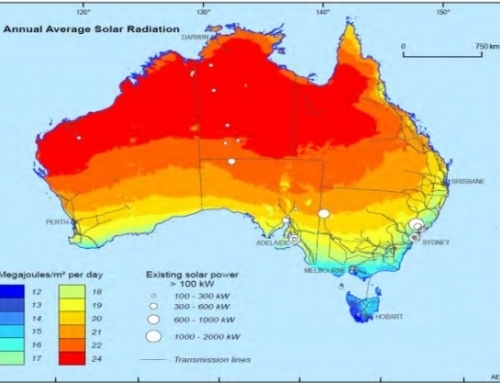 It is expected that No.1-5 Modules will be completed and connected to the grid at the end of this year in 2018. 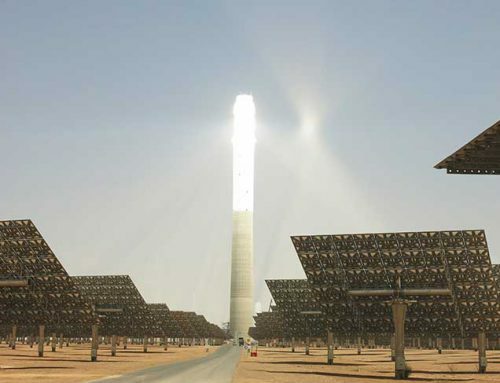 It is the only pilot project taking innovative beam down CSP tower technology. 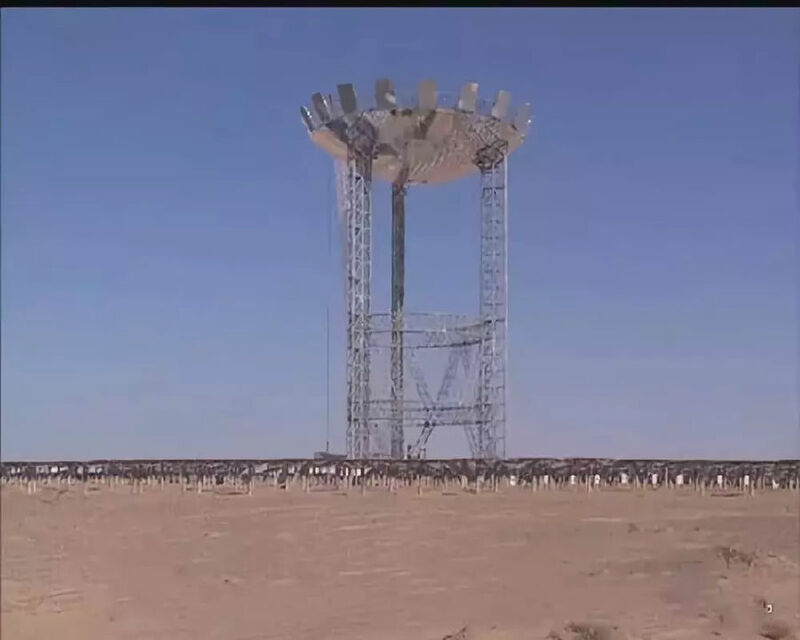 With total investment of RMB 1.79 billion, Yumen Xinneng 50MW molten salt tower CSP project is made of 15 mirror field Modules, and each module consists of 17MWth solar filed and one beam-down tower, totaling 50MWe. 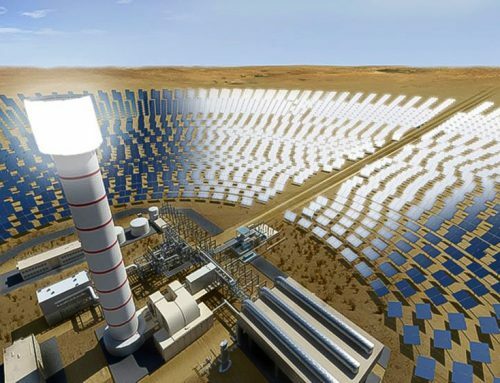 Also one 9-hour molten salt thermal storage system & steam turbine set are included in the project. 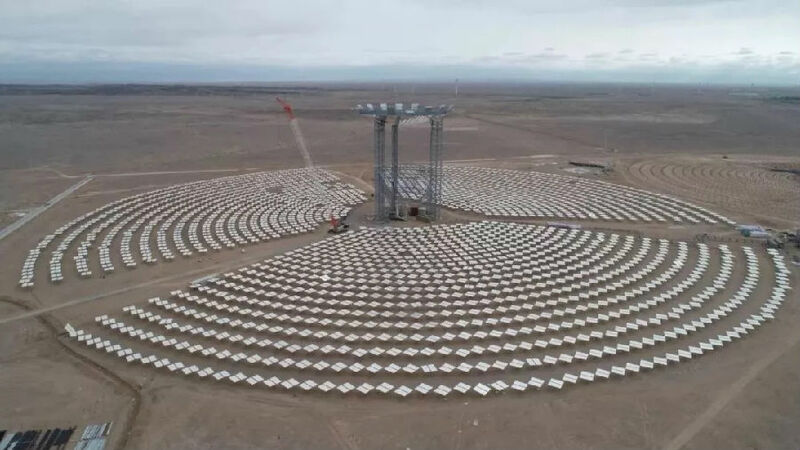 As of today, No.1 Module has been fully completed; Tower of No.2 Module is built up, and 357 heliostats finished; Tower of No.3 Module has been 30% installed; No.4-10 Modules are under construction. 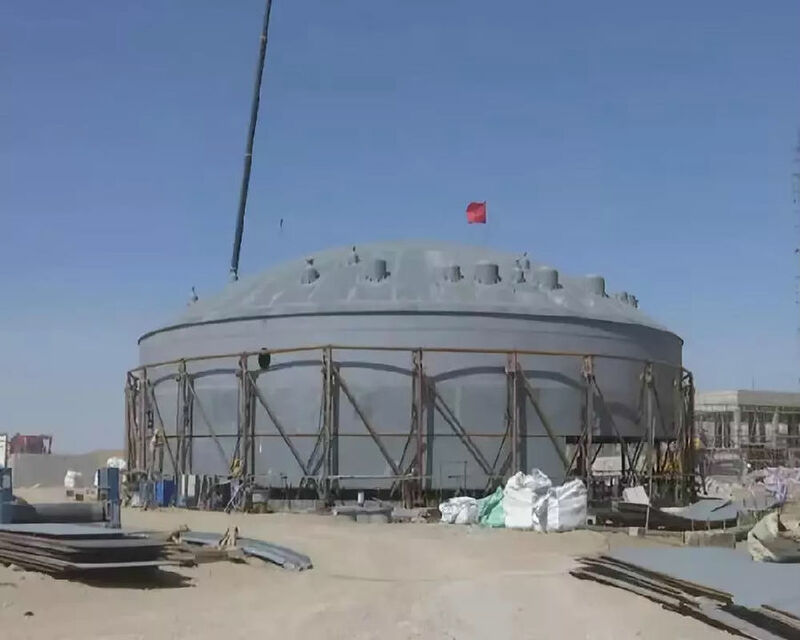 The central cold and hot molten salt tanks have been ready for the whole project. 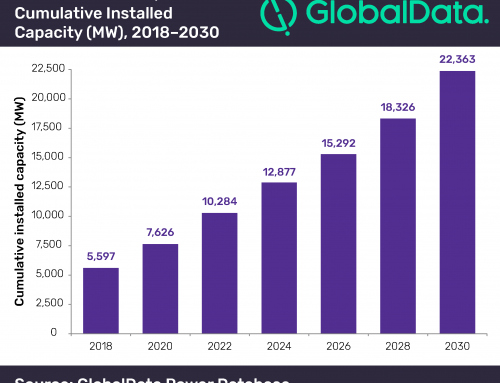 ● December, 2018, No.1-5 Modules to be completed and connected to the grid. 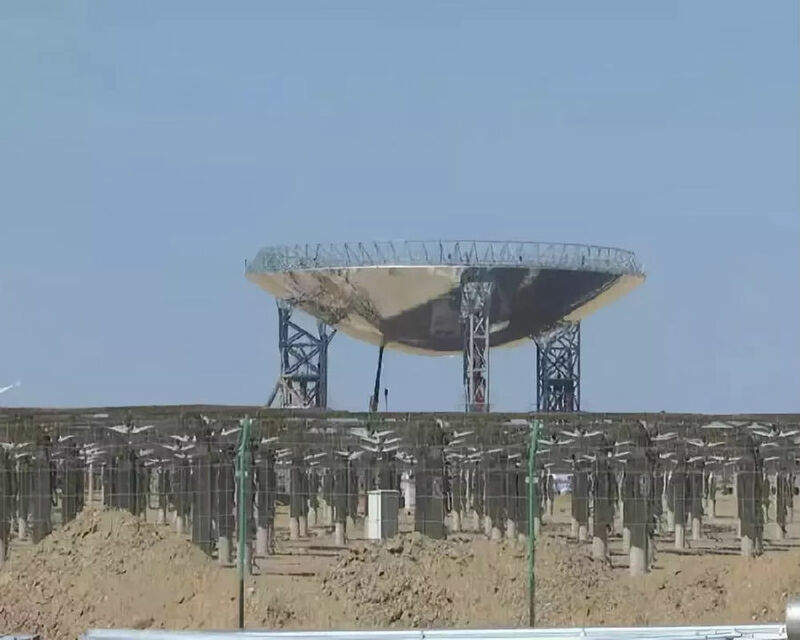 ● June, 2018, No.1 Module completed, heliostats installation finished. ● April, 2018, steam turbine foundation started, and No.2-5 modules started construction. 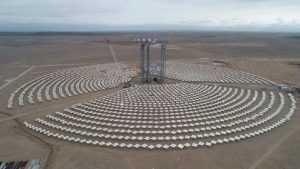 ● Dec.7, molten salt thermal electricity storage system started construction. 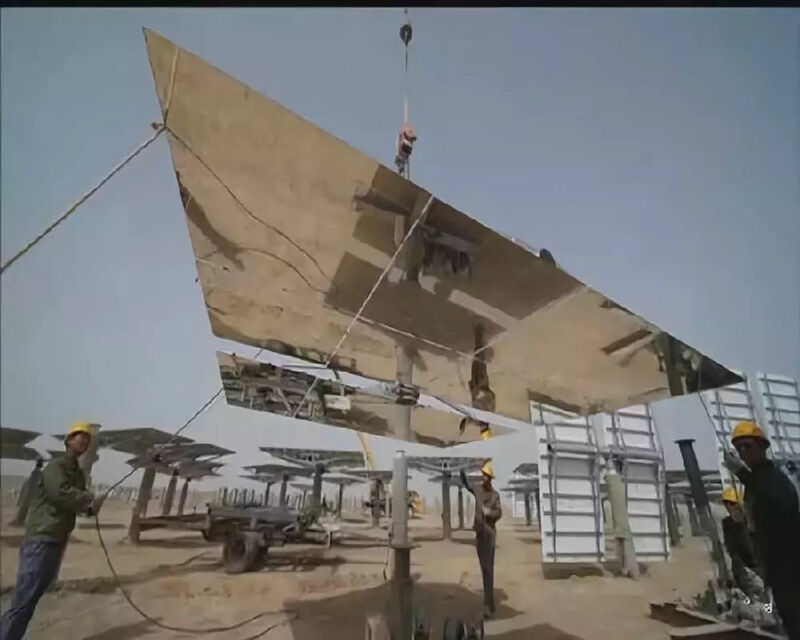 ● 2017, the first solar collecting system module commissioning to be finished. 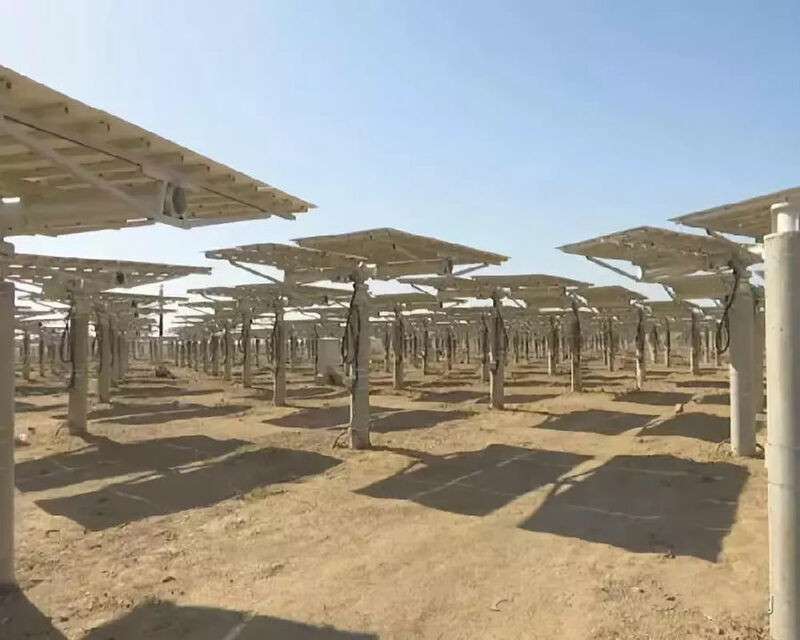 Xinchen CSP Technology Co.,Ltd works in the project as technology provider, and solar field and thermal storage system integrator. Mr. Chen Yuda, General Manager of Xinchen CSP will lead a team to present upcoming CSP Focus Innovation 2018（Oct.25-26, China） conference, where you may get more fresh news on the project and technological innovations on CSP system and key components. Click to get brochure of CSP Focus Innovation 2018（Oct.25-26, China） and register before Sept.20 to SAVE USD 100.